So we are always only a phone call away. Friendly and Reliable, Compassionate and Fast Service, we offer it All. Designed with your privacy and convenience in mind, our service provides you with a secure method to process your bond. With agents on call 24 hours a day, Savannah Bail Bonding is your simple solution to resolving a complex situation. Day or Night, there is no bond that Savannah Bail Bonding cannot handle. Has a friend or family member been arrested? 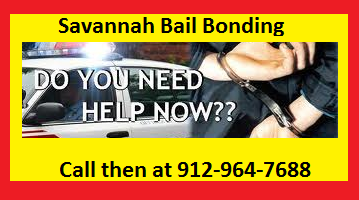 Call Savannah Bail Bonding now at (912)964-7688 and provide us with the correct name, birth date and county where they have been arrested and our agents will be happy to assist you through the process fast and easy. We will provide help . Savannah Bail Bonding’s agents pride themselves on being the quickest, most efficient and well educated bail bond agents. Savannah Bail Bonding have been in Business for Over 20 Years, We deal with All the Local Courts and Work with Any Amount. We Make Bail Bonds Simple and Fast. We Make Bail Bonds Simple and Fast! Lowest Fees in Town Savannah Bail Bonds . Se Habla Espanol.